I have always struggled with putting on fake lashes and I finally found a way that works for me. No more getting glue in my eyes and burning, that was the worst especially after putting on contacts and they would get foggy. 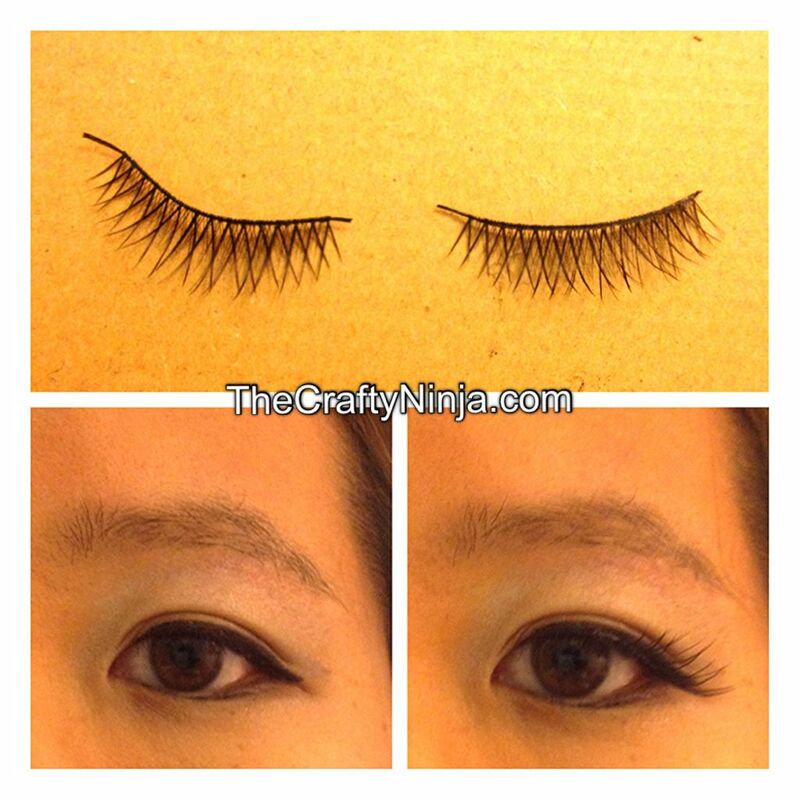 Here is how I apply my falsies to create beautiful long eyelashes. First I put in my contacts. Then I used Maybelline Blackest Black gel eyeliner and a ELF Angled eyeliner brush. I used to use liquid eyeliner but the gel works better and lasts a lot longer. I purchased my eyelash set here. Next I measure the eyelash to my eye and see where it needs to be trimmed down. I trim my eyelash where my pupil is, the black part of the eye. 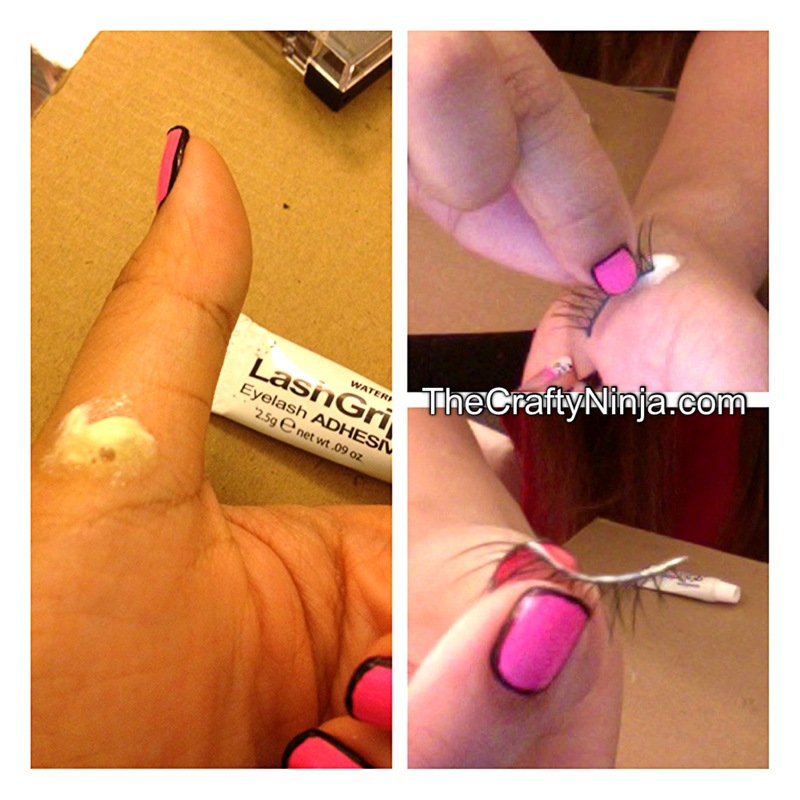 Next I wrap the eyelash around my finger to bend it, because your eyelid has a natural curve. I put Ardell eyelash glue on my hand and go across it with the fake lashes. I wait for about one minute or until the glue gets tacky before applying to my eyelid. 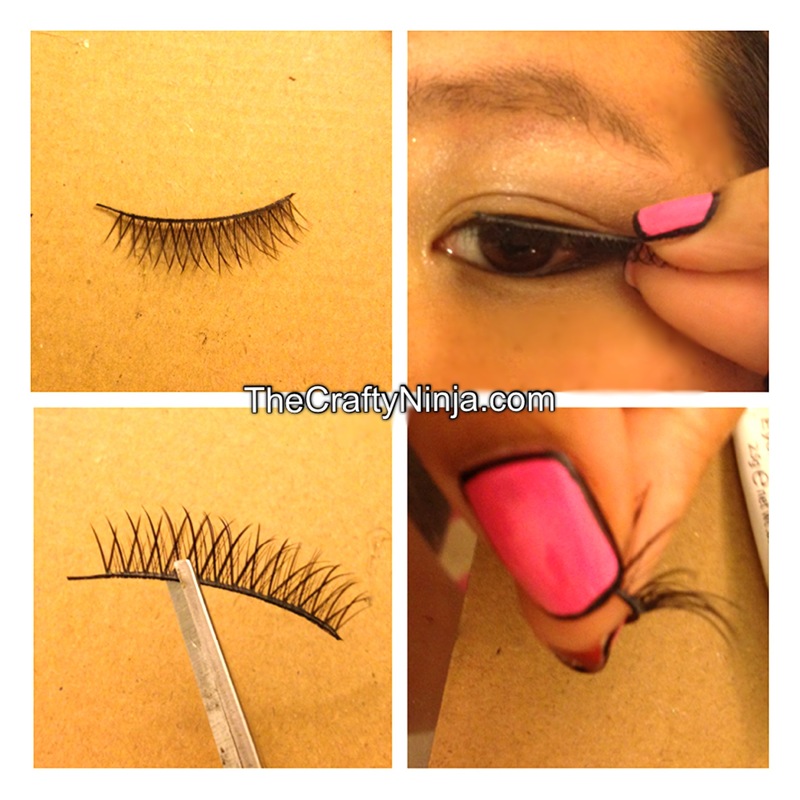 Now the final step on how to apply your falsies. I have a mirror stand and tweezers. First I turn the mirror so I’m looking down into it, this trick has prevented glue getting into my eyes. I put the falsies as close to my eyelash line and gently lay it down. 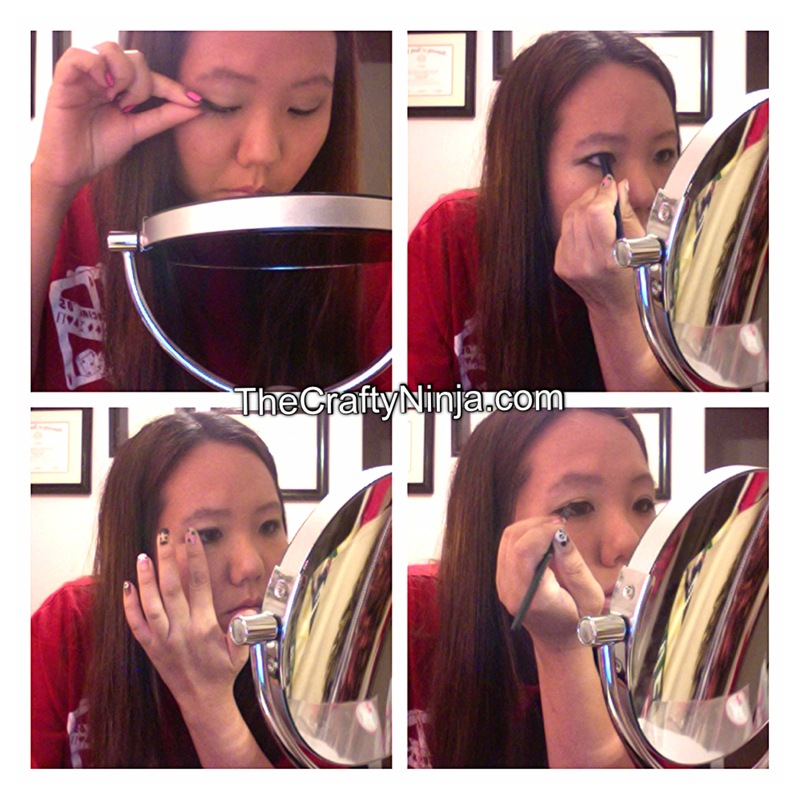 I turn my mirror up and I take tweezers and press the falsies in place. I also take my fingers and press gently. 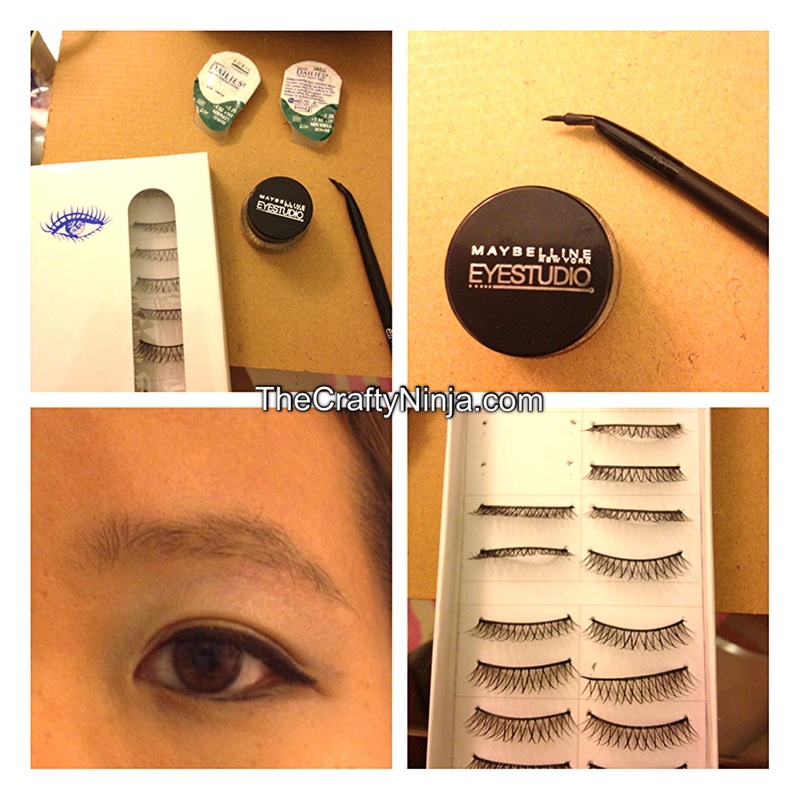 Last I go over with the gel eyeliner to hide any glue and reapply any eyeliner that has been smudged off.